Although not seen as a definitive cure for the disease there were significant reductions in the rates of vaso-occlusive crises. These are more commonly known to those with the Sickle Cell Disease (SCD) disease as VOCs and are a painful reality of its effects. The red blood cells of those with the SCD are shaped irregularly which causes the blood to be more receptive to blood clots and circulation problems. 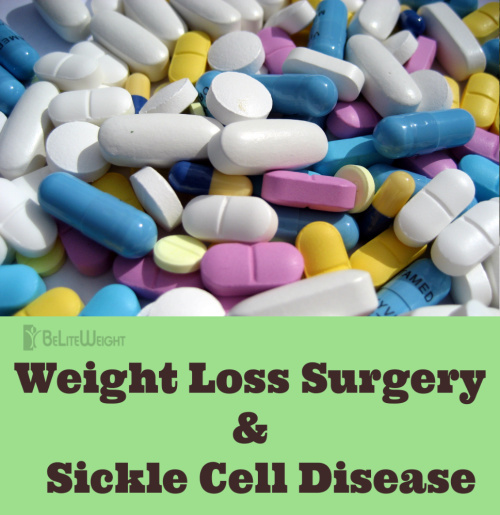 However with modern medicine and treatment those with SCD disease are shown to find success recovering and thriving after weight loss surgery. Patients with SCD who underwent weight loss surgery did not have a higher risk of severe health complications and were less likely to experience VOCs afterwards! For more information about Weight Loss Surgery please visit us at www.beliteweight.com or call BeLiteWeight at 1-800-215-6497 now! This entry was posted in Bariatric Surgery, Gastric Sleeve Surgery, General, Health, Weight Loss, Weight Loss Success Stories, Weight Loss Surgery and tagged Gastric Bypass Surgery, gastric sleeve, Gastric Sleeve Surgery, Gastric Sleeve Testimonials, health benefits, Lap Band Surgery, Lap Band to Sleeve Revision Surgery, Laparoscopic Vertical Sleeve Gastrectomy, lose weight, Sleeve Gastrectomy Surgery, Vertical Sleeve Gastrectomy, Weight Loss Surgery by Jamie Eberle. Bookmark the permalink. Jamie Eberle is the Chief Financial Officer of BeLiteWeight. BeLiteWeight has helped over 12,000 patients have safe, affordable and successful weight loss surgery over the past decade. Jamie has had bariatric surgery and knows the ins and outs of the different procedures, including: gastric sleeve surgery, gastric sleeve plication, vertical sleeve gastrectomy and gastric bypass surgery, and other bariatric surgery procedures. BeLiteWeight focuses on each patient's needs to help them choose the right procedure and get started on the path to a healthier life.